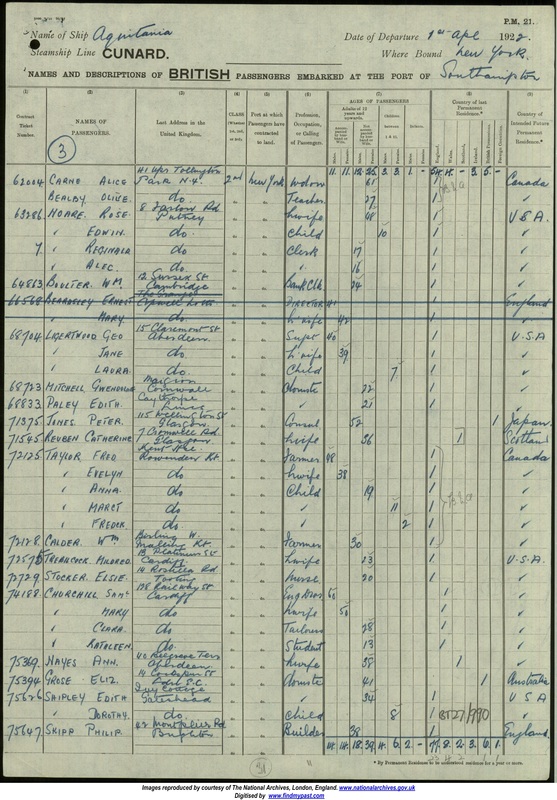 Passenger List from the Aquitania, 1922, listing Edith Paley en route for New York. We wish to gratefully acknowledge the assistance provided by Carole Holloway in compiling this account of her father’s uncle, Charles Holloway, who is one of the men named on the Bottesford ‘church list’ of WW1 Servicemen. Charles Cecil Holloway was born on the 2nd May, 1896, in Melton Mowbray, son of Charles Gilbert Holloway and Anna Holloway. 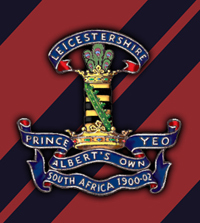 His father was born in the fourth quarter of 1868 in Melton Mowbray (and baptised on the 26th April, 1871, in Leicester, St Matthews), while Anne his mother (neé Wartnaby) was born in about 1869 in Derby. Charles Holloway senior was a house furnisher/furniture dealer (in effect an antiques dealer). In 1901, the family lived on Nottingham Street, Melton Mowbray, and they were at the same address in 1911 when Mr Holloway was still dealing with furniture. By this time, schoolboy Charles Cecil had a brother, John Thorold, aged 8 (too young to have enlisted during the war), and a sister named Ella, aged 7. Carole Holloway confirms that Charles Gilbert owned an Antiques shop at 10-11 Nottingham Street, Melton Mowbray, adding that his father, James Thorold, had been the Superintendent of Police in Melton Mowbray. There is no census record of the family in Bottesford before the outbreakof WW1. Carole Holloway found a record of Charles Cecil Holloway’s war medals (but no service records), which reveal that he served as a Private, service numbers 48235, 43896, Leicestershire Regiment, Corps of Hussars. It is not known why he had two service numbers, presumably for routine administrative reasons. His Medal Index Card confirms his service numbers and regiment: both service numbers refer to him as a private in the hussars. The Hussars were more generally known as the Leicestershire Yeomanry. In WW1 they comprised three battalions, and it would be interesting to discover which Private Charles Holloway belonged to. Frustratingly, we currently have no further information about his military career. Records from the years after the war are slightly confused and inconsistent, largely because his father was recorded in the Lists of Bottesford electors, and by Kelly’s Directory, as Charles Cecil (senior) rather than as Charles Gilbert. Thus, Charles Cecil Holloway Sen’r (senior) is named as living of Bottesford High Street in the 1921 Electors Roll, and in subsequent Rolls from 1922 and 1923 Charles Cecil Holloway was listed living on Bottesford High Street with Anne Holloway. These almost certainly refer to Charles senior, and his wife Anne, the parents of Charles Cecil who fought in the Leicestershire Hussars. It is known that a Charles Cecil Holloway lived in the house called ‘The Rosary’, at the corner of Barkestone Lane and the High Street in Bottesford. Here he ran a café which is remembered for displayed a sign saying ‘Tea with Hovis’. Presumably, this again refers to Charles senior. In Kelly’s Directory, 1925, Charles Holloway senior was listed as an antique dealer in Bottesford, and again in 1928. However, there is no record of him in Bottesford in the 1912 and 1916 editions, implying that he moved to Bottesford after 1916. The suggestion is that he had closed his furniture business in Melton, and had moved to Bottesford during the latter part of the war, when there would have been no trade for an antiques dealer. This would explain why Charles junior was included in the list of Bottesford serviceman even though he may never have lived in the village for any substantial period. Charles senior was not listed in Kelly’s 1932, but had evidently not left the village. 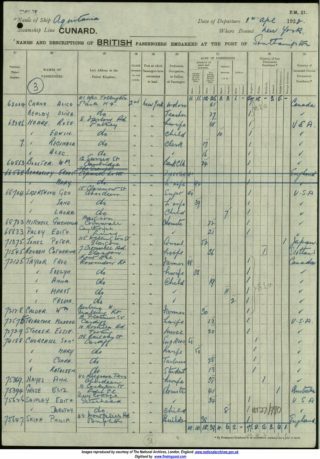 In the 1939 Register, Charles Gilbert Holloway, a retired antiques dealer, and his wife Anne, were recorded as living on the High Street. This may have been the time when he (they) had the cafe. He was buried in the 10th December, 1949, at Bottesford, aged 81. Anne Holloway died at Leamington Spa, in April 1954, aged 85. Carole Holloway informed us that in April, 1922, Charles Cecil junior sailed to New York, as did Edith Paley (born 12th October,1900, daughter of Thomas and Elizabeth Paley, in Caythorpe, Lincs, where her father was a master butcher) on a different ship. She was a passanger on the Cunard ship “Aquitania”, which left Southampton on the 1st April 1922 bound for New York Detail of Charles’s passage have not been found. They married in New York later that same month.They returned to the UK in 1925, with their son (also named Charles, born 1923), with Caythorpe, Lincs, as their destination. On a later sailing, Charles Cecil gave Bottesford as his address in England, and his profession that of an engineer. Nevertheless, they were living near Warwick at the time of the 1939 Register. In this, the address was recorded as Manor Farm Bungalow, Leamton Blackdown, Warwick Rural District. Here lived Charles C. Holloway, born on the 2nd May, 1896, an engineering works manager, his wife Edith Holloway born on the 12th October, 1900, and their son Charles R.P. Holloway, born on the 12th October, 1923, who was still at school. Charles Cecil Holloway died in September, 1971, in Warwick, aged 75. The date of his wife’s death is not certain. A lady named Edith Holloway died at Kidderminster in 1984, but there is no certainty that this was Charles’ wife.